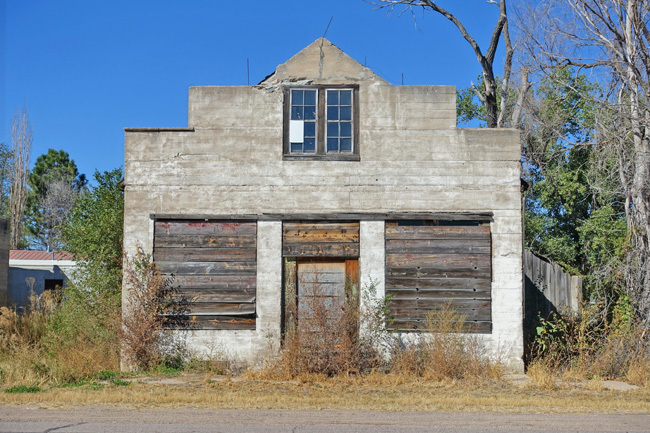 The rural town of Roscoe, Nebraska is home to several beautiful abandoned buildings with obscure histories. 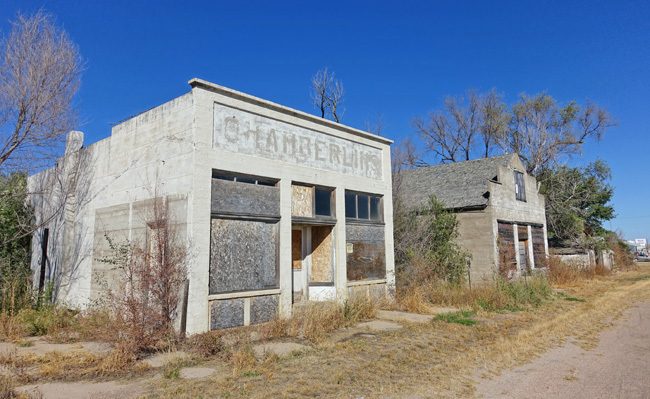 After exploring the incredible ghost town of Gilman, Colorado and several other abandoned places I continued on to the lovely state of Nebraska. The few times I'd driven through Nebraska, I stuck to the Interstate, but this time I decided to spend more time on the rural highways. What a treat it was. 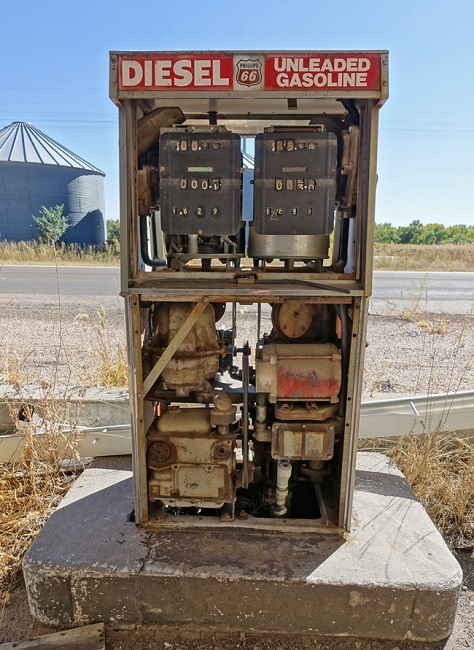 From the freeway, Nebraska often looks like a monotonous stretch of farm fields, but if you venture out onto the rural highways, you'll find that there are plenty of interesting places to see. 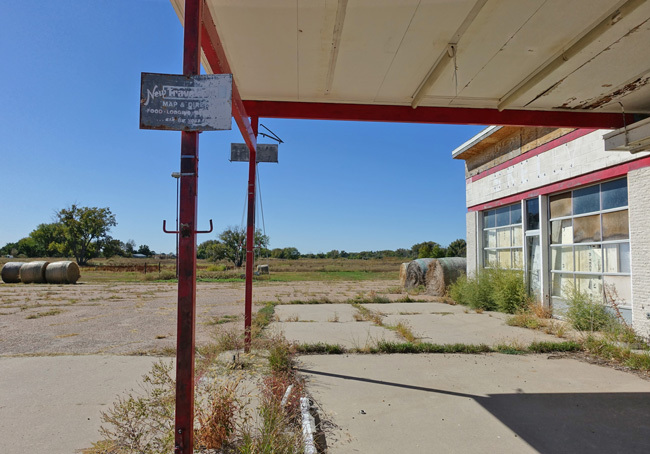 Shortly after exiting I-80, I came to a lonely gas station near the banks of the South Platte River. It appears to have been closed for decades, yet is still in very good condition. Nearly all of the windows are intact. 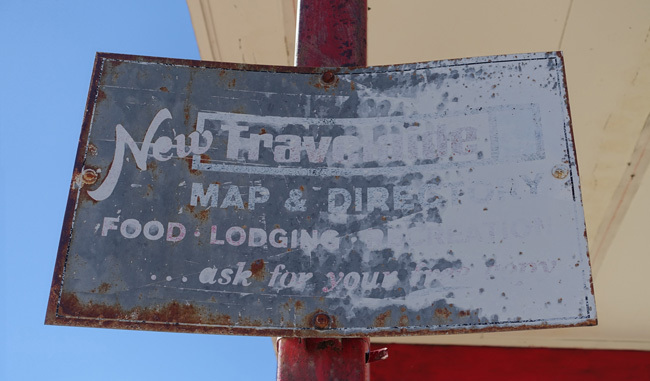 Several faded, rusting signs stand as reminders of a time when travelers regularly stopped to refuel and enjoy a brief respite from the road. The spotlights that once illuminated the "Trucks" sign have long since gone dim. 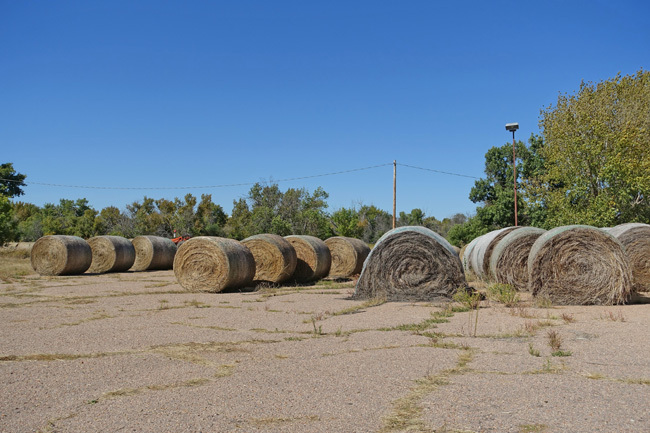 The parking lot now serves as a storage area for cylindrical bales of hay. 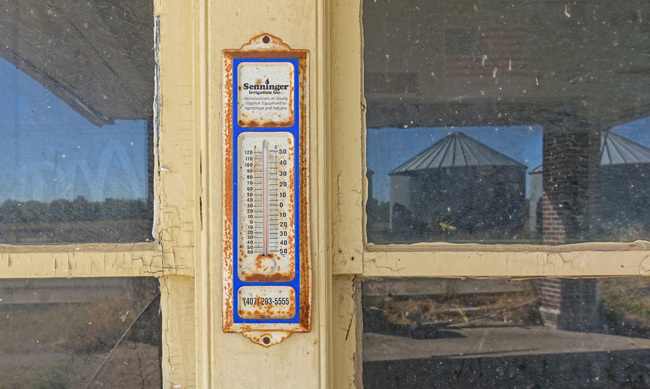 As I finished capturing shots of this beautiful old gas station, a pickup truck pulled up. The driver, a friendly man with a long white beard, owns the property. He said he keeps a watchful eye and comes to investigate whenever he sees visitors stop by, which is why there is no vandalism or graffiti. He also told me that there used to be four gas stations, one on each corner. 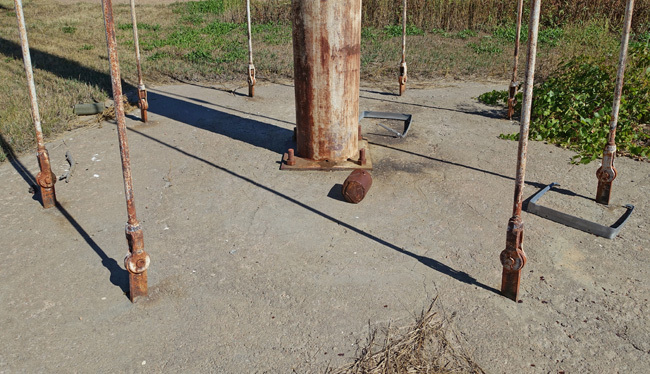 The other three were demolished years ago, but this one remains standing because of the cost involved with removing the underground fuel storage tanks. We talked for a little while before going our separate ways. I crossed the historic bridge over the South Platte River to the town of Roscoe. 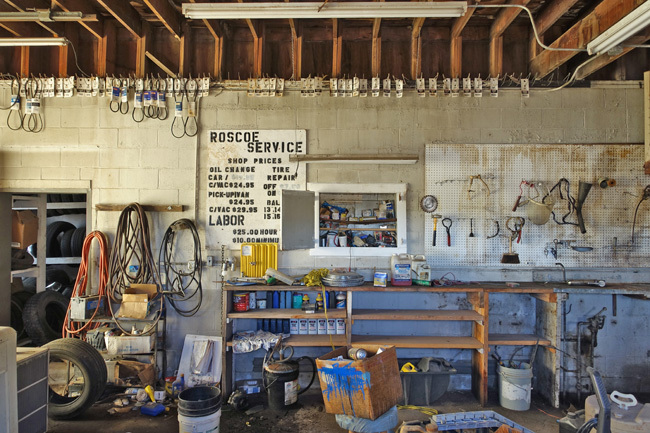 Situated along the Lincoln Highway, Roscoe is easy to miss; it is only about 5 blocks long. 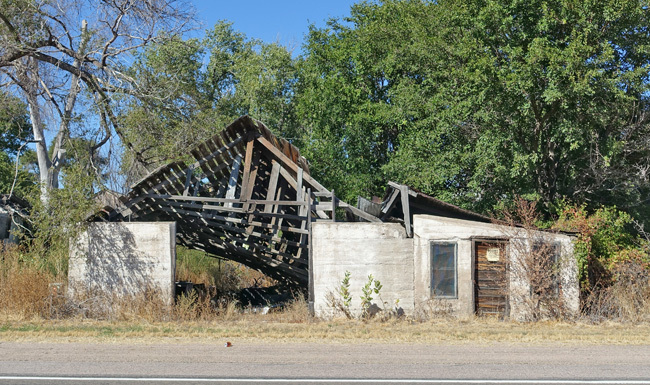 Many mistake it for a ghost town because of a stretch of crumbling buildings along the highway, the remains of businesses that closed long ago. But Roscoe actually has a population of about 62 people, which seems about right when you consider that the town's footprint covers only .16 square miles. I was able to find very little historical information about the town. Apparently Roscoe was founded in the early 1870s when Union Pacific extended its main railroad line through the area. 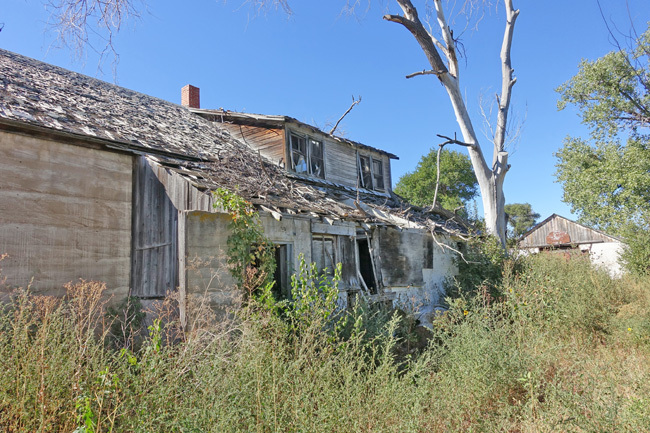 Roscoe and other settlements in the area began as railway stations, where steam-powered locomotives stopped to refill their tanks with water from the South Platte River. 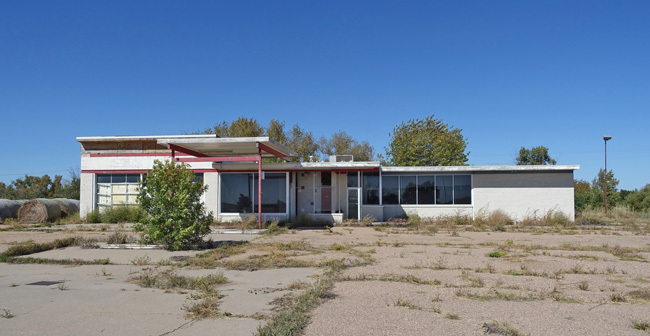 The city of Ogallala, the county seat of Keith County, lies about 7 miles west along the Lincoln Highway, and began as a major cattle center. One of Roscoe's most recognizable features is the building that once housed Chamberlin's store. It is unclear when the store was founded or when it closed, but I was able to find a bit of information about the people who worked there. Heman Sargeant "Ben" Chamberlin, originally from Michigan, moved to Roscoe around 1910. 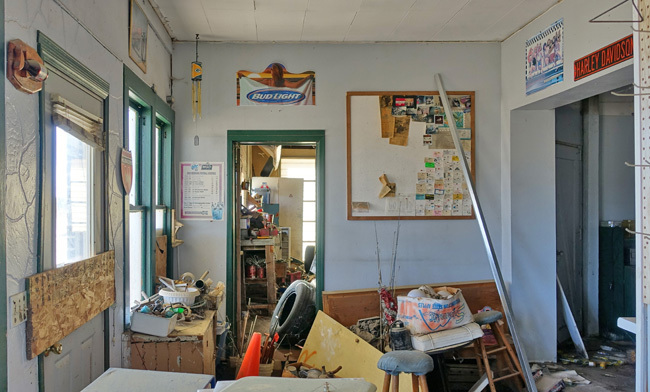 According to a genealogy website, he was a storekeeper, though it is unclear whether he founded the store or acquired it from previous owners. The family owned the adjacent cabins and gas station as well. 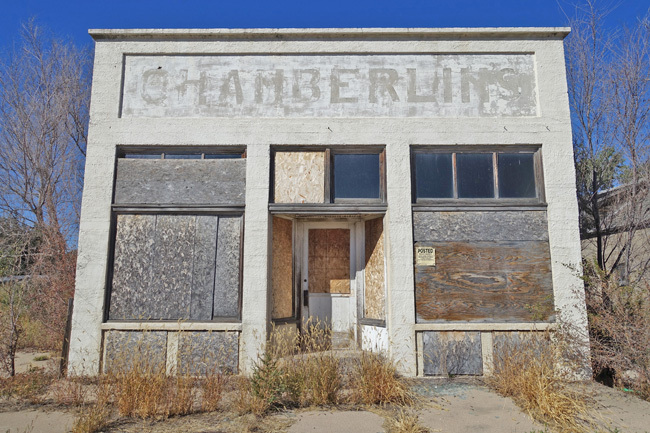 His son, Harvey Jasper Chamberlin, also worked at the store and other family businesses that now sit vacant and heavily weathered. 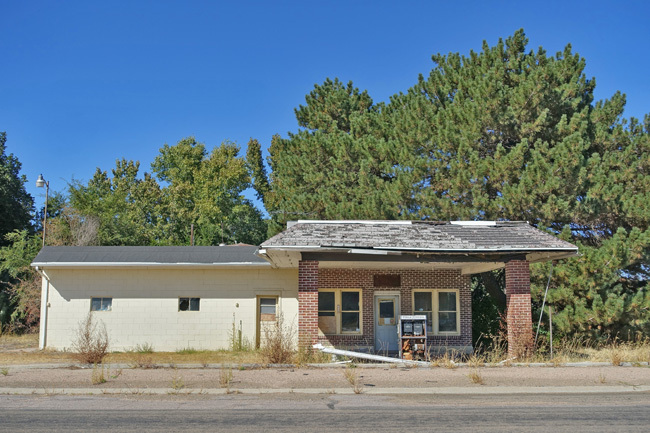 The old gas station, like the neighboring shuttered businesses, has thankfully been spared from the ravages of graffiti and vandalism. 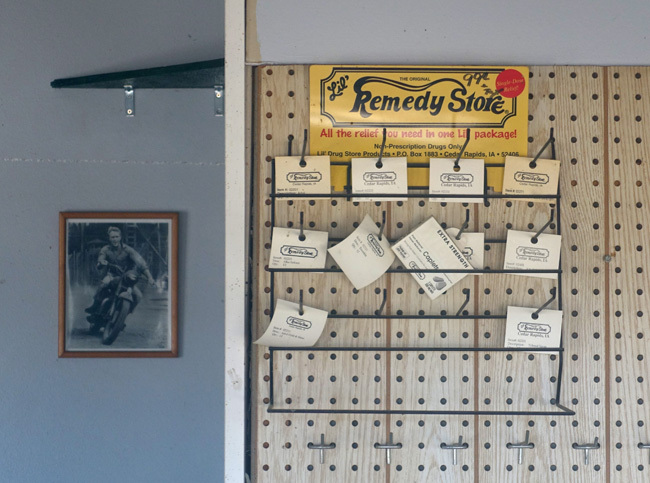 I peered through the windows and found that the service station still contains quite a few artifacts. A poster with the words "In Remembrance of September 11, 2001" hung on the wall, indicating that it remained open as recently as the early 2000s. Folks from my home state of Wisconsin would be pleased to know that a Green Bay Packers wind chime hangs from the ceiling. 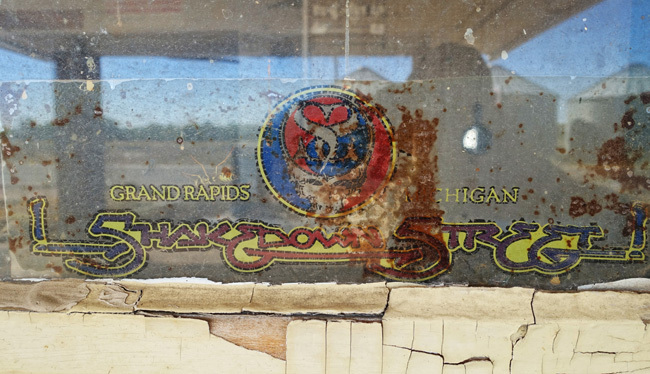 Judging by the Shakedown Street sticker in the window, the owner is a fan of the Grateful Dead. For anyone considering visiting this place, I'd advise caution before getting too close. It was swarming with wasps. 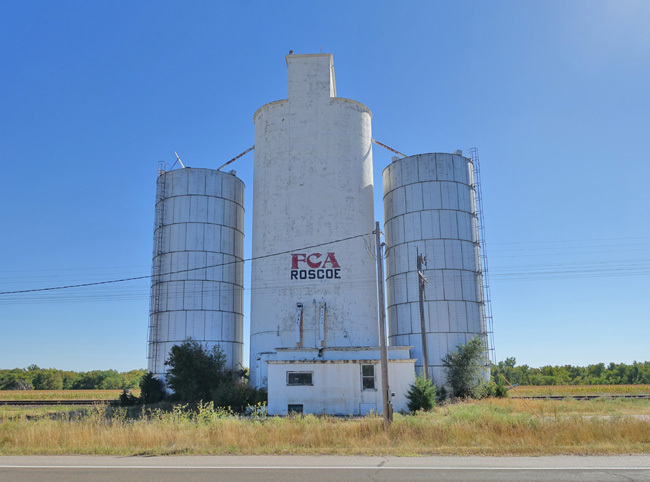 From Roscoe, I continued east along the Lincoln Highway, passing through a number of beautiful little towns and stopped to check out a neat old abandoned grain elevator. Ah kiddo--I ADORE Nebraska. Hubby and I long to live there. You did good to get off the interstate. I don't know how many times people look at us as if we were insane when we say how much we love that state....but they don't know the REAL Nebraska. Friendliest people you will EVER come across. Those old towns are disappearing fast. And the farms---well, they're being swallowed up by mega farms. It's a shame. Thank you, Sue. During my most recent trip through Nebraska, I fell completely in love with it. I wouldn't mind finding a peaceful home in the middle of nowhere to settle down, as long as I could still get internet access. Come to think of it, everyone I ran into was super friendly too. It saddens me that the neat old places are disappearing. I hope the trend toward mega farms slows down, but I doubt it ever will. Gotta see as many of the old sites as I can while they're still around. This is a fascinating article. 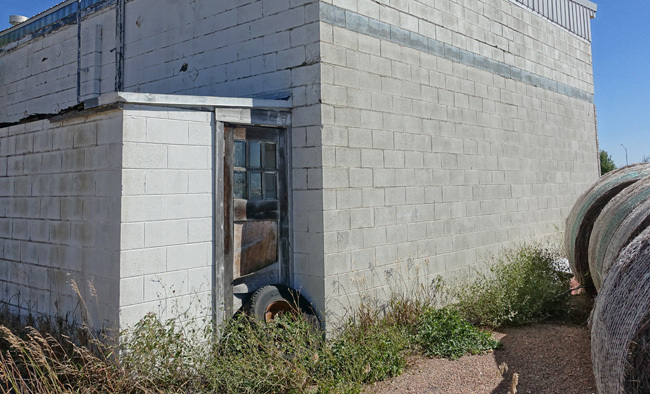 I love all things related to abandoned buildings, locations, etc. You did a fanastic job bringing this ghost town to life! Thank you so much, Greg! Thanks for the comment! It's amazing that those buildings were abandoned so very long ago and are still standing! The sheriff of Keith county lives right behind the gas station. It's pretty tight and everyone knows what's going on. The people that own the gas station live two houses to the west of the gas station. It was a busy little gas station when it was open. The guy to ask would be Thomas England he has a fb account he knows a lot of the history of Keith county and is my sons teacher if you would like more info, I guarantee if he don't know the answer he will find it. Other towns that you might be interested in are keystone just north of roscoe, Arthur is north of lake macconaughy 25 miles on hwy 61. I think this article is awesome, for someone to write about Roscoe Nebraska is great. As a kid my dad would always say Roscoe P Co train from Dukes of hazard lived in Roscoe I was always looking for Dailey Duke lol. Great article. Ha ha, my husband refers to his side side arm, knife, as Roscor P Co train.... how funny. We are Nebraskans.. Thank you for all the information! I'll be sure to add Keystone and Arthur to my list of places to visit. If they are anything like Roscoe, I'm sure I'll love them. I can confirm the gas station was open at least as late as 1998. 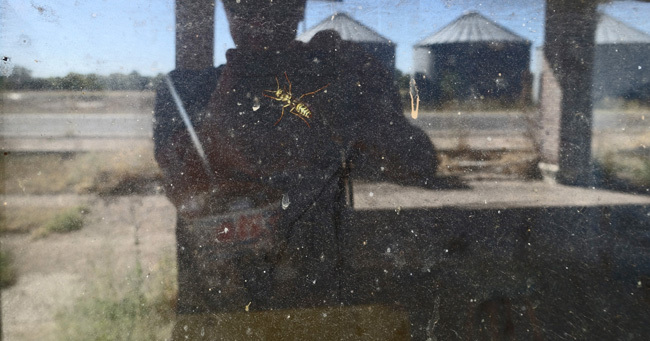 I stopped there to clean my windshield (grew up in neighboring Paxton). Grew up in Ogallala, drove to Roscoe every Friday night to buy beer at the gas station. Checking ID was not a big thing in Roscoe. Great place to grow up. I live in LA now and can easily say the quality of the people in Nebraska compared to California is a very wide gap. I can smell the fresh cut alfalfa now! Small world! I live in LA too. I grew up in Wisconsin and my uncle grew alfalfa. We used to help bale it an unload the wagons. THe gas station with the red brick columns was owned by my paternal grandparents, Wilma and Al Frost. 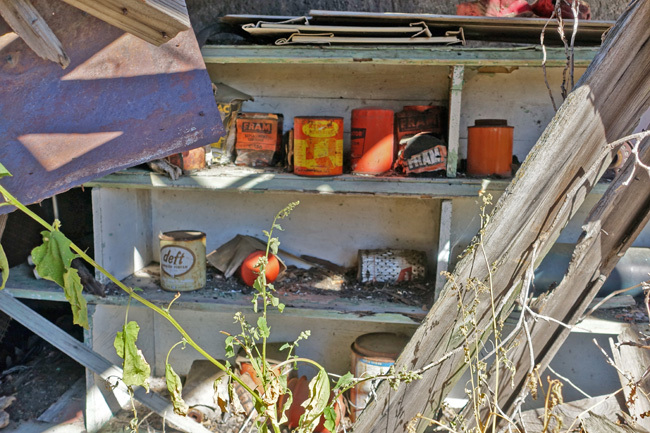 There was a general store owned by my maternal great grandparents on the corner. My grandmother and her siblings grew up on the house next to the store. Spent many summers in Roscoe. How neat! Thank you for commenting! You must have so many great memories there. I wish I could have met Wilma and Al Frost. I graduated from Brule High School in 1973. A fellow classmate alerted me to this post. Many thanks for a trip down memory lane. I don't get out to western NE often enough. Again, thank you. Thank you! I'm glad you enjoyed it. Nebraska is such a beautiful place. I hope to spend more time there. 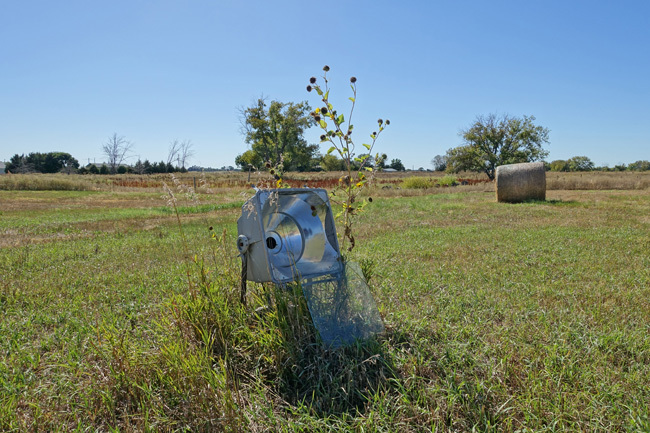 I grew up on a farm south of Roscoe. When we cut wheat we would go to the grain elevator in Roscoe, Brule, Grant, or Ogallala. Have many fond memories of spending time in all these places with family and friends. Check on Keystone, NE. Has a church with moveable pews to represent two different denominations, depending on which way you were facing. Keep up the pictures and posts. I now live in Tennessee and miss Nebraska. Thanks! Thank you! I'll be sure to check out Keystone next time I'm in the area. I'd like to visit Tennessee, maybe this year. I bet there are a lot of neat historic buildings there too. I live in Roscoe still. I was born in Ogallala and grew up here in Roscoe. My parents came here in 1952. We have a very quiet town. It was a great place to grow up sadly to many people have either passed on or moved away. When I was a kid there were many more family's in and around here. The school house didn't close till the 1980s. It looks like a peaceful place to live. I fell in love with Roscoe as soon as I first laid eyes on it. The countryside is breathtaking. Yes! Great article and wonderful memories. I too was born and grew up for many years in Ogallala. Had a good friend that lived on a farm near Roscoe so have many memories of all those places while most were still open. 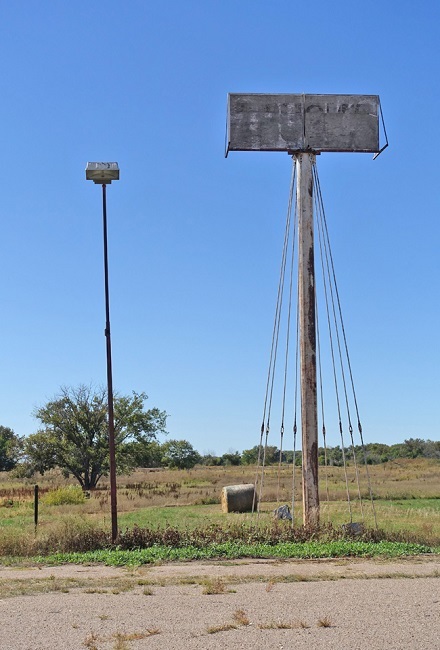 Use to use the gas station at the interstate as a meeting place to go hunting along the river with friends and get to hunting blind on friends property. (Was still open.) Keystone is a definate must see when you get back that way. Thank you! I'm glad you enjoyed the article. It sounds like you had a great time growing up in the area. I will be sure to visit Keystone when I get the chance.